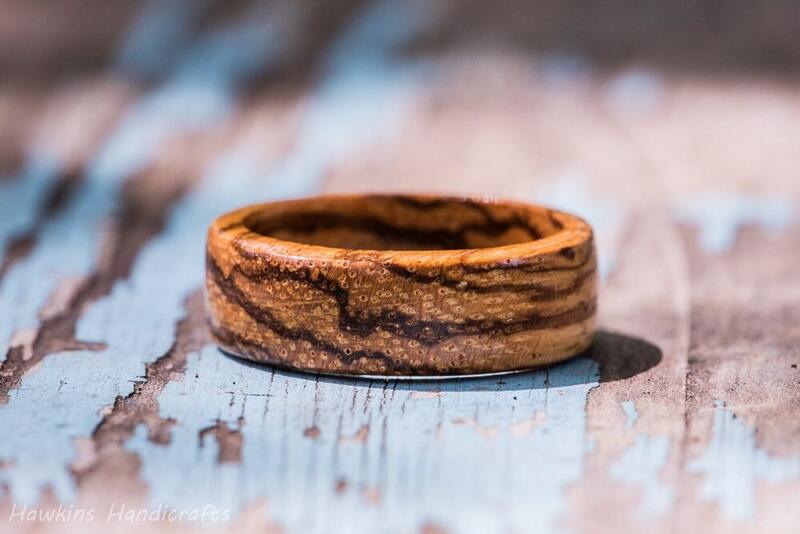 This is a hand-turned zebrawood ring custom made to your specifications - choose the size, width, and shape from the options to create your own handmade ring! 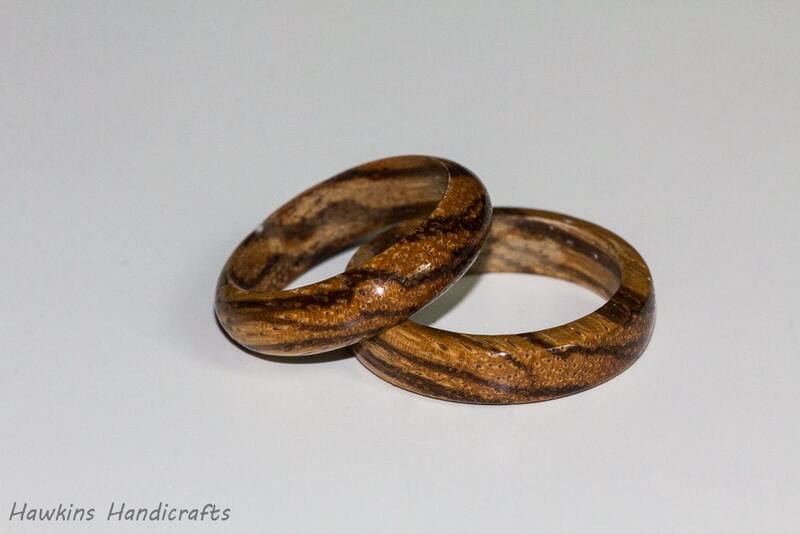 Your ring will have a similar look to those in the pictures, with prominent zebra striped patterning and coloration - but each ring is a unique piece of wood with it's own unique patterning with no two exactly alike! 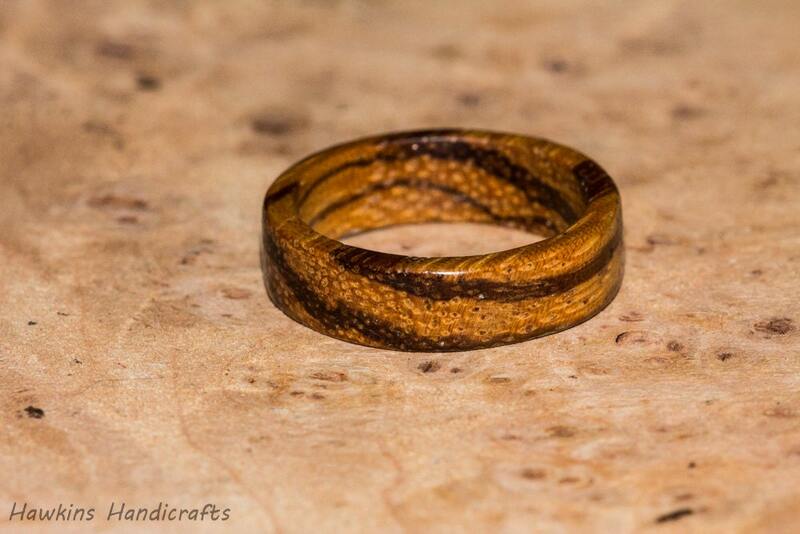 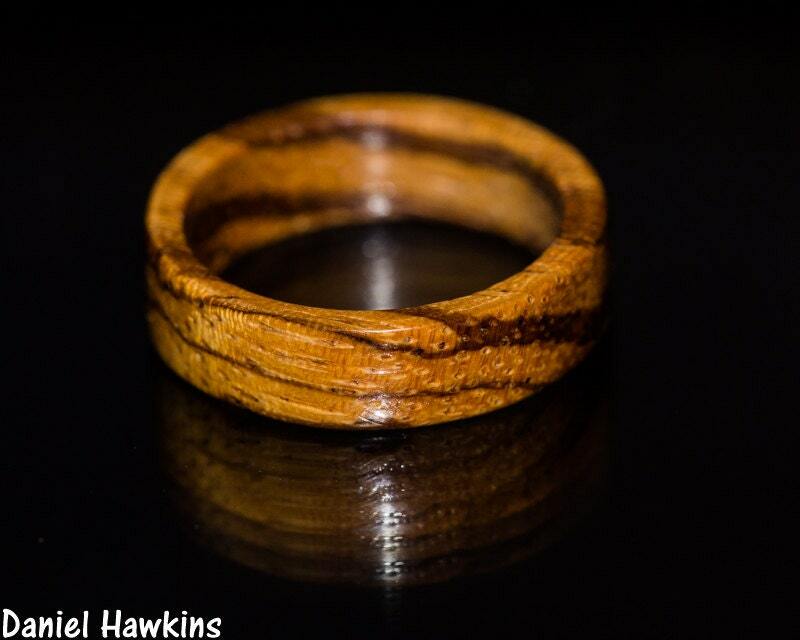 Zebrawood is a really interesting wood that produces some beautiful, eye-catching rings. 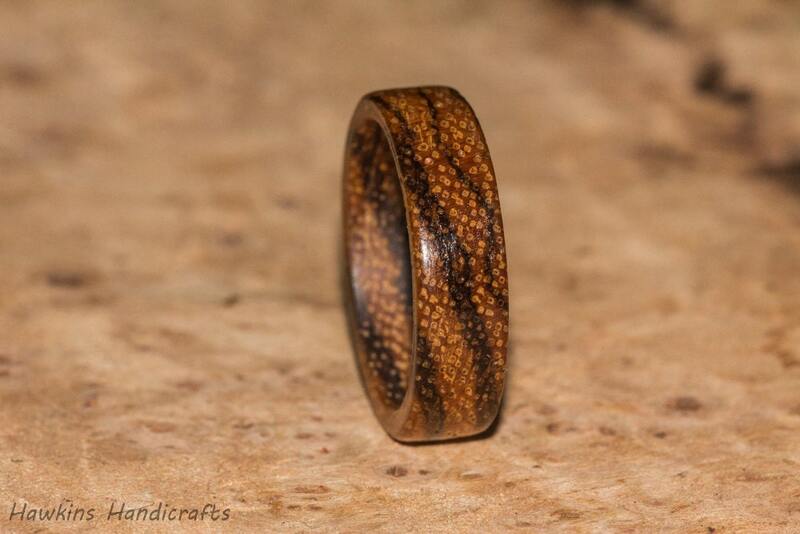 Not only does it have the dark striped grain patterning, but it also has large pores that create a more subtle spotted pattern as well.